The cloud POS management system that will help your business grow. 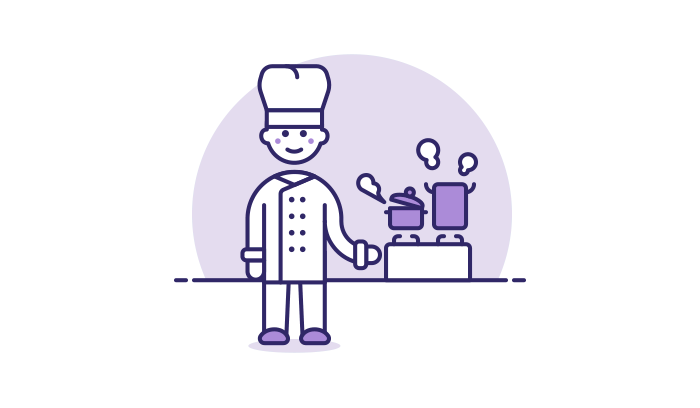 If you're serving food or beverages, Spotlight will help you run your business smoothly and shine a light at the most complex and opaque parts of it. Everything you need to run your business, in one neat package. Powerful insights into your costs, revenue streams & profitability. No hidden tricks: clear pricing that includes all features. Spotlight helps hundreds of business around the world run smoothly every day. Spotlight offers a comprehensive suite of tools you can trust to run your business on. We believe we're offering a different approach to other POS systems in that everything is included in the price you pay. Taking orders & sending them for preparation, printing receipts, charging cards, all of the usual POS business. The tools to create as generic or specific reports as you want, and shine a light on all your business' aspects. Gain insight into your profitability by drilling down into obscure details such as ingredient pricing and employee discounts. Make daily stock-keeping quick and easy, safeguarding against theft and managing your warehouse effectively. Show your menu on digital devices at the store entrance or on your customers' tables. Update it at the touch of a button. Manage deliveries and e-ordering easily in the same system, while providing a mobile e-ordering solution for your customers. Explore new types of events at your venue by having the most complex part of the business, ticket issuing and management, taken care of. Manage reservations easily and efficiently by using the same system that runs your entire business seamlessly. Shops that work throughout the day offering all kinds of services, making it difficult to have a total view of the business. Managing a café can quickly become complex if you offer a mixture of food & beverages and maybe do some delivery too. 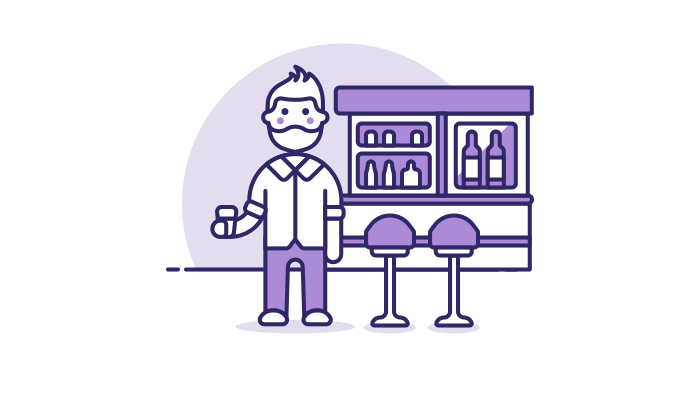 Establishments that work during the night have more complex needs in monitoring alcohol consumption & discounts. Restaurants are more demanding on the kitchen side as well as on the service side and can offer delivery servicesas well. Ticketing, access control and e-payments come into play here, as well as running a full bar and sometimes offering food. These stores place a focus on speed and features like delivery & e-ordering making it harder to keep track of things. Why will Spotlight be a better system for you? It's all in the details, all those thoughtfully executed features that will make running your business more productive and enjoyable everyday for you and your staff. Because we started out running stores very similar to your store in our families: we made Spotlight to scratch our own itch and empower our family businesses to grow and thrive. Remote business oversight and management, unlimited data storage, plus less clutter in store. The only things taking up space are printers and access points. Great performance and reliability on Apple’s iPod® Touch, iPhone® & iPad® devices, with their sensible screen sizes, stable & secure operating system and great battery life. Guaranteed uninterrupted ability to perform with or without a stable internet connection in-store. Spotlight makes sure that your customers are being served 24/7. No upfront costs, no annual contracts or licenses to pay. The subscription model respects your business flow and allows adjustments according to your needs. The staff may change more often than the menu, but that's no problem. Add unique staff accounts as you need them and enjoy security & data integrity. Orders are being taken quickly and intuitively with only a few taps, while even the most peculiar ones become fun for your staff to deliver, with accuracy and ease. Product modifiers support details such as specific glass type preferences, sugar types, ways of cooking etc. If your customers can name it, your staff is ready to serve it. No matter how busy it gets, no matter how many bartenders or cooks are preparing the goods for your customers, unlimited printing destinations can make it possible. Your menu is a living organism. You can adjust your offering as often as you like: just modify products & prices and press sync. All devices will be updated in seconds. During busy shifts everything is shaped around your customers' needs. Moving tables around and customizing floor plans & sections is as easy as a tap and a slide. 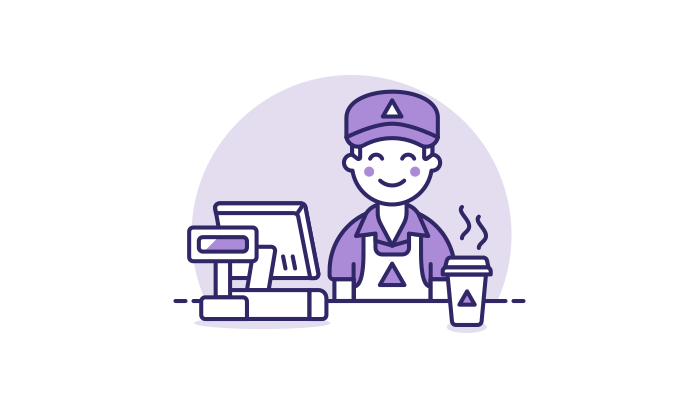 Create new accounts in an instant for each employee, customize their roles and privileges -security and operational settings- and have them taking orders in a heart beat. Choose your printer set up, sync and print orders at your bar, counter, kitchen or anywhere else your workload or your store's configuration demands. Your Spotlight account allows you to have your eyes on the money, running reports, reviewing daily and hourly sales. All you need is a browser and internet connection. 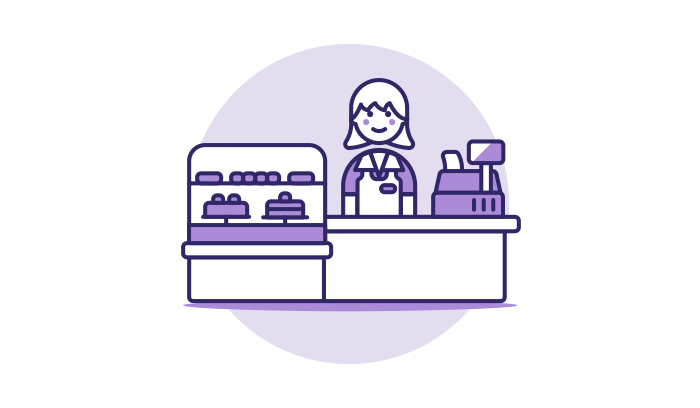 You'll always know your best selling products, best performing tables, employees, hours of the day and days of the week, with real time as well as scheduled reports. In this industry, your sales figures alone aren't the whole story. Spotlight allows you to know and manage hidden costs like discounts that may affect your bottom line. Enjoy live overview of who's working when and where, with reports on hours worked and tips earned, precise payroll costs, as well as sales performance figures. Spotlight allows you to deliver to your customers at work or at home without any add-ons or extra costs. Customer details and order history are at your fingertips. E-ordering for delivery or for picking up your own order is now easy for your customers and for your store with our companion app Spotfolio, at no extra cost. 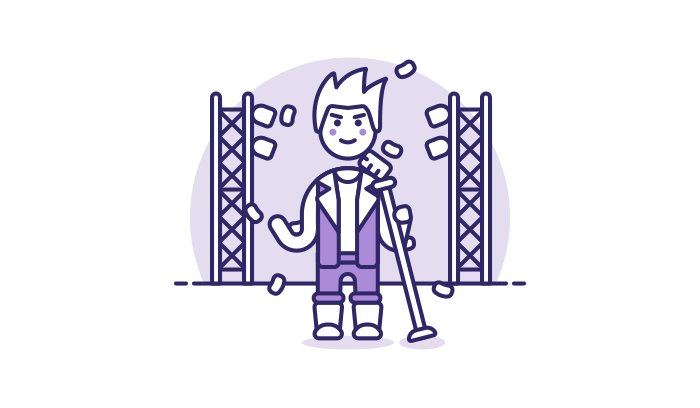 Are you organizing live events, plays or festivals at your venue? Seamlessly add ticketing & e-ticketing capability using the same POS system that powers your store. Please enter a valid email address!! Sign up now for a free trial and test Spotlight for yourself. Contact us for more information, or to arrange a personalised demo. The equipment that you need is: According to your needs of simultaneous users the equivalent number of Apple Devices, thermal printers depending on your production needs and bar preparation information, and last but not least an internet connection and a wireless access point. Which printers work with Spotlight? Spotlight POS currently works with several models of ESC/POS thermal printers. Thermal printers have no ribbon and use thermal paper. We recommend the following thermal printer: Epson TM-T20 Ethernet-USB. Your personal secure data information is being stored on Google cloud servers which are undoubtedly the most credible and fast as we speak that are located in a physically secure data center. You can access your secure administrative dashboard through the spotlightpos.com website using your username and password. The Spotlight POS services, websites and software including mobile applications (collectively, the "Service" or “Spotlight”) are provided to you, the merchant (“Merchant”, “you”, or “your”), by Spotlight POS (collectively "we", "us", "our", or "Spotlight"). Your use of the Service is subject to and governed by this Spotlight Terms and Conditions Merchant Agreement ("Merchant Agreement") and the terms of any Spotlight Subscription Order Form (“Order Form”) that you entered that specifically references into this Merchant Agreement (collectively, the “Agreement”). We reserve the right to update and change the terms of this Agreement from time to time in our sole discretion. We will provide you with notice by updating this page and indicating the date of the update, so please check this page frequently for updates and changes. We also may send you notice via e-mail to the address associated with your Account. You agree you will be bound by the terms fourteen (14) days after notice, and your continued use of the service fourteen (14) days after notice shall constitute acceptance of the new terms by you going forward. You expressly agree that this notice protocol is sufficient and adequate for purposes of providing you notice of the revisions to this Agreement. If you refuse to be bound by the new terms, we reserve the right to terminate your Account and access to the Services in accordance with the termination provisions in Section 5. Any updates or changes made to this Agreement will not apply to you to the extent that: (1) the changes concern matters which are the subject of an actual dispute between you and Spotlight as of the date the changes take effect; and (2) we have actual notice of the dispute as of the date the changes take effect. The changes will not impact transactions that precede the date of the update. You must create and activate a subscription account with Spotlight to receive the Service (“Account”). In order to create an Account, you must register and maintain a valid payment card or bank account to pay the monthly fee for the Service and provide information about your business, any authorized employees and other users, and any other data elements required by Spotlight. Once you have an established Account, you are solely responsible for your configuration and use of the Service. You are responsible for maintaining control over access to your Account, including the confidentiality of your Account login and password, and are responsible for all activities that occur on or through your Account, whether authorized by you or not. If you create an Account as an individual acting as a representative of a corporation or other legal entity which wishes to use the Service, then you represent and agree that you have the authority to accept the Agreement on behalf of such corporation or other legal entity, and that all provisions of the Agreement will bind that corporation or other legal entity as if it were named in place of you. You may establish subordinate accounts (“Sub-Accounts”) for the benefit of authorized personnel – such as employees or independent contractors. Sub-Accounts will be attached to and associated with your Account. You acknowledge and agree that Spotlight offers this feature purely as a convenience to you, and that you are exclusively responsible for ensuring that any person permitted to access a Sub-Account will do so only on your behalf (not, for example, for the person’s own purposes or the benefit of third parties) and that such person fully complies with this Agreement. You are fully responsible for managing access to, and security and confidentiality of such Sub-Accounts and agree to immediately notify Spotlight of any unauthorized use of such Sub-Accounts or any other breaches of your Account’s security. YOU ACKNOWLEDGE AND AGREE THAT YOU ASSUME ALL LEGAL AND FINANCIAL RESPONSIBILITY FOR ACTIVITY THAT OCCURS UNDER OR THOUGH YOUR ACCOUNT, INCLUDING ANY SUB-ACCOUNTS. Spotlight shall not be liable to you or to any other party for any losses or damages of any kind that result from: (1) your establishment and/or use of Accounts or Sub-Accounts; (2) for any activity or inactivity that occurs under any such Sub-Accounts attached to your Account, OR (3) your Account management, mismanagement, or lack of management of any and all Sub-Accounts attached to your Account. You must maintain an Internet connection ("Connection") to operate your Service and generally complete electronic transactions through your Service. If you temporarily lose your Connection, the Service may contain a feature that allows you to temporarily operate certain elements of the Service and maintain data relating thereto, to process the orders cloud sync, once your Connection is restored ("Offline Mode"). However, Offline mode contains inherent limitations. YOU ACKNOWLEDGE AND AGREE THAT YOU ARE SOLELY RESPONSIBLE FOR AND ASSUME ALL LEGAL AND FINANCIAL RESPONSIBILITY FOR ACTIVITY THAT OCCURS DURING OFFLINE MODE, INCLUDING SERVICES, OPERATIONS, OR DATA IN CONNECTION WITH OFFLINE MODE THAT ARE INTERRUPTED, DAMAGED, OR LOST, REGARDLESS FOR THE REASON FOR, OR TIME OF, SUCH EVENT. Spotlight’s core service functionality under this Agreement is to deliver the Service, which may require you to integrate third party services, software, and devices (“Third Party Services”) to more robustly capitalize on the Service’s functionality. Specifically, in order to use the Service, you must supply certain equipment. You must have at least: (1) at least one Apple iPad®, iPod® Touch and iPhone® running the iOS version specified by Spotlight, (2) a working broadband Internet connection, (3) a secure wireless network available in all places within the venue where a Service-related device (including terminals as well as peripheral devices, such as any printers) will be used, and (4) an active Account. Spotlight prohibits and disclaims the use of the Service on any device that is modified contrary to the manufacturer’s software or hardware guidelines and your use of any such modified device constitutes a violation of this Agreement and grounds for us to terminate your Account. You agree to pay the applicable monthly fees listed in your Agreement. The Fees and any additional charges Spotlight levies under this Agreement may be deducted from any remittance you receive or are entitled to receive from Spotlight under the Agreement, charged to your credit card on file, deducted from your bank account on file, or otherwise paid or offset in connection with your Account. Unless otherwise agreed to in writing, your first Fees will be charged to you no later than thirty (30) days after you enter into this Agreement. Subject to this Agreement, we reserve the right to change our Fees, the payment schedule, and collection method in our sole and absolute discretion. If we change our Fees, billing schedule, or collection methods, we will notify you through your Account thirty (30) days in advance of the change (“Fees Change Notice Period”). If you do not agree to the Fees change, you must promptly close your Account and discontinue use of the Service prior to the last day of the Fees Change Notice Period. By continuing to use the Service after the last day of the Fees Change Notice Period, you accept the new Fees structure in its entirety. This Agreement becomes effective and binding on you when you create an Account. You may voluntarily terminate your Account at any time through the Account website or by contacting customer service at support@spotlightpos.com. You acknowledge and agree that if you terminate your Account before the end of a 30-day subscription cycle, or such subscription cycle as may apply, you will still be charged for the entire cycle. You acknowledge and agree that Spotlight shall not be obligated to issue any refunds, whether full, prorated, or otherwise, if you voluntarily terminate your Account before the end of a subscription cycle, regardless of whether you notify Spotlight. You acknowledge and agree that Spotlight may terminate your access to the Service and your Account (including all attached Sub-Accounts): (a) if you breach or violate of any provision of this Agreement; (b) upon a request by law enforcement or other government agency; (c) upon your request to terminate your Account; (d) upon our decision to discontinue or materially modify all or any part of the Service or Payments; (e) upon the occurrence of technical or security issues as identified in Spotlight’s sole discretion; (f) if your use of the Service, whether through your Account or any Sub-Account or otherwise, is fraudulent or illegal; (g) for your non-payment of your Fees; (h) upon your violation of any other agreements you have with Spotlight; (i) for convenience upon sixty (60) days written notice; and/or (j) if we believe, in our sole discretion, that your continued use of the Service interferes with, is harmful to, or otherwise inconsistent with our business. If we terminate your access to the Service and/or your Account, we may, without limitation: (w) delete your Account and terminate your access to the Service and all information and features associated with your Account, unless otherwise agreed to in writing; (x) delete your password and all related information, files, and content associated with or inside your Account (or any part thereof); and (y) prohibit you from accessing the Service in the future through an alternative Account or otherwise. EXCEPT WITH RESPECT TO YOUR VOLUNTARY TERMINATION OF YOUR ACCOUNT, SPOTLIGHT SHALL MAKE ALL TERMINATION DECISIONS IN ITS SOLE DISCRETION AND SHALL IN NO EVENT BE LIABLE TO YOU OR ANY THIRD PARTY FOR ANY TERMINATION OF YOUR ACCOUNT OR ACCESS TO THE SERVICE, INFORMATION IN OR ASSOCIATED WITH YOUR ACCOUNT OR ANY SUB-ACCOUNT, OR FOR ANY LOSSES OR DAMAGES OF ANY KIND RESULTING THEREFROM. • Consent to E-Mail Communications. You acknowledge and agree that Spotlight may send any and all notifications and communications (“Communications”) to the email address associated with your Account, and it is your responsibility to keep the e-mail address associated with your Account current, valid and active. YOU ACKNOWLEDGE AND AGREE THAT ALL SUCH COMMUNICATIONS SHALL BE DEEMED TO BE “IN WRITING”, THAT YOU SHALL READ ALL SUCH COMMUNICATIONS, AND THAT YOU SHALL MAINTAIN APPROPRIATE RECORDS OF SUCH COMMUNICATIONS, AND SPOTLIGHT SHALL IN NO EVENT BE LIABLE TO YOU OR ANY THIRD PARTY FOR ANY LOSSES OR DAMAGES OF ANY KIND RESULTING FROM YOUR FAILURE TO MAINTAIN A CURRENT, VALID AND ACTIVE E-MAIL ADDRESS IN CONNECTION WITH YOUR ACCOUNT OR FAILURE TO READ E-MAIL MESSAGES SENT THERETO. • Updates to Service. Spotlight may from time to time offer you updates and upgrades to its Service (“Updates”). The Updates may be critical or mandatory in nature and require you to download and install Updates in order to continue your access to the Service and your Account. Spotlight will attempt to give you reasonable notice of critical and mandatory Updates via Communications to the e-mail address or other contact information associated with your Account. IF YOU DO NOT DOWNLOAD AND INSTALL UPDATES, YOU AGREE SPOTLIGHT SHALL IN NO EVENT BE LIABLE TO YOU OR ANY THIRD PARTY FOR ANY INTERRUPTION, SUSPENSION OR TERMINATION OF YOUR ACCOUNT OR ACCESS TO THE SERVICE, INFORMATION ASOCIATED WITH YOUR ACCOUNT OR ANY SUB-ACCOUNT OR FOR ANY LOSSES OR DAMAGES OF ANY KIND RESULTING THEREFROM. • Beta Testing. Spotlight may from time to time offer you the opportunity to participate in beta testing of new services, devices, software and features that have not been thoroughly tested for quality assurance. IF YOU ACCEPT AN OFFER BY SPOTLIGHT TO PARTICIPATE IN ANY BETA TESTING, YOU AGREE THAT SPOTLIGHT SHALL NOT BE LIABLE FOR ANY LOSSES OR DAMAGES OF ANY KIND THAT YOU MAY INCUR AS A RESULT OF SUCH PARTICIPATION, INCLUDING, WITHOUT LIMITATION, ANY INTERRUPTION OF THIRD PARTY SERVICES, OR LOSS OR DAMAGES TO YOUR COMPUTER(S), MOBILE, PERIPHERAL, OR OTHER DEVICES, OR LOSS OR DAMAGE TO DATA, INCLUDING TRANSACTION OR CARD INFORMATION, ASSOCIATED WITH AND IN YOUR ACCOUNT. YOU HEREBY WAIVE AND RELEASE SPOTLIGHT AND ITS AFFILIATES FROM ANY AND ALL CLAIMS ARISING OUT OF OR RELATED TO THIS SECTION. Spotlight may offer technical support with the Service, which may include, at our discretion, assistance with the setup of the Service and the peripheral hardware and software associated with certain features of the Service. You acknowledge and agree that Spotlight makes no guarantees that you will receive a timely response or any response at all to any technical support inquiries, or that the information or assistance you receive will be accurate or helpful. "Customer Data" means all information about purchasers generated or collected by Spotlight, or you through the Service, including, but not limited to, purchasers' names, addresses, email addresses, phone numbers, purchaser preferences and tendencies, location, and reports and analytics relating thereto. You shall immediately notify Spotlight if you become aware of or suspect any unauthorized access to or use of Customer Data or any confidential information of Spotlight, and shall cooperate with Spotlight in the investigation of such breach and the mitigation of any damages. You will bear all associated expenses incurred by Spotlight to comply with applicable laws (including, but not limited to, any data breach laws) or arising from any unauthorized access or acquisition of Customer Data while such data is in your reasonable possession or control. You acknowledge that we may collect and analyze information related to your interaction with and the operation of the Service, including, but not limited to, your time spent using the Service, browser types and language, Internet Protocol addresses, device-specific information, including your hardware model, operating system and version, unique device identifiers, mobile network information, information about the location of the device and the locations of our customers in relation to you and the device, the device's interaction and performance with our Service and customers, peripheral hardware and other Third Party Services. Spotlight reserves all rights not expressly granted to you in the limited license granted to you by this Agreement. The Service, their contents, Application Usage Data, Customer Data, and any products or services provided or sold by Spotlight are the property of Spotlight, and are subject to the copyright or other intellectual property rights of the Spotlight service, and are protected by law. Any unauthorized reproduction; modification, distribution, transmission, republication, display or performance of Spotlight is strictly prohibited. You agree that nothing on or in the Service shall be construed as granting, by implication, estoppel, or otherwise, any license or right to use any copyrighted property displayed on or in the Spotlight service without the prior written permission of the copyright owner. Upon your agreement to be bound by the terms of the Agreement, Spotlight grants you a limited, non-exclusive, revocable, non-transferable, non-sub licensable license during the Term to use Spotlight's point of sale software application, related Services and related Customer Data on a mobile computer, tablet computer, or other device, solely for the purposes permitted by that software and Service in accordance with the terms of the Agreement, and to make one copy of the software for back-up purposes. Spotlight owns all rights in and to the trademarks, service marks, logos, trade names, domain names, and social media identifiers ("Trademarks") used and displayed on or in connection with the Service, and you agree not to challenge, directly or indirectly, these entities' use, ownership, or registration of the Trademarks. You agree that nothing on the Sites or in this Agreement shall be construed as granting, in any way, any license or right to use any such Trademarks. Spotlight’s name, the Spotlight logo and the other Spotlight -formative trademarks may not be used in any way without prior written permission from Spotlight. Other product and company names mentioned on or in the Sites or Service may be the Trademarks of their respective owners. By using the Service, you acknowledge and agree that Spotlight may display your business name or trademark on a customer list, whether on the Service or otherwise. You further acknowledge and agree that any ideas, suggestions, feedback, artwork, or other information or works (“Feedback”) that you make or develop in conjunction with your use of the Service or otherwise submit to Spotlight related to its business or the Service in any form, shall become the property of Spotlight. You acknowledge and agree that Spotlight shall not be liable for any delay or failure to perform, including any disruptions or outages in the Service, resulting from causes outside the reasonable control of Spotlight, including without limitation Internet outages or interruptions, strikes, labor disputes, rebellions, revolutions, embargoes, earthquakes, fires, floods, wars, terrorism, riots, government sanctions, acts of God, acts of civil or military authorities, inability to secure raw materials, fuel, energy, labor, or transportation, and acts or omissions of carriers or suppliers. This Agreement constitutes the entire agreement between you and Spotlight relating to the Service and supersedes any and all other agreements, oral or in writing, with respect to the Service. Notwithstanding, in the event of a conflict between these terms and the terms of another agreement you enter into with Spotlight, the terms that shall control are, this Spotlight Merchant Agreement. Our failure to insist upon strict compliance with any term of this Agreement shall not be construed as a waiver with regard to any subsequent failure to comply with such term or provision. You acknowledge and agree that Spotlight may, without notice to or consent from you, assign, transfer or convey this Agreement, whether by direct assignment, change of control, operation of law or other transaction, to any third party, successor in interest, related party or affiliate of Spotlight (“Transferee”), and that such Transferee may rely upon your representations and enforce your obligations under this Agreement. In contrast, this Agreement is personal to you, and you may not assign your rights or obligations to anyone. You and us each agree that we shall bring any Dispute against the other in our respective individual capacities and not as a plaintiff or class member in any purported class, representative proceeding or as an association. In addition, you and us each agree that Disputes shall be arbitrated only on an individual basis and not in a class, consolidated or representative action. The arbitrator does not have the power to vary these provisions. Notwithstanding anything to the contrary in this Agreement, either party may bring suit in court seeking an injunction or other equitable relief arising out of or relating to the infringement of a party’s intellectual property. If for any reason a Dispute proceeds in court, you agree to submit to the personal jurisdiction of, and venue in, the courts of Justice law located in Cyprus with respect to any and all legal proceedings that may arise in connection with the Dispute, and waive any objection to such jurisdiction and venue. All parties irrevocably waive any and all rights they may have to a trial by jury in any judicial proceeding involving any claim relating to or arising under this agreement. This Privacy Statement explains how Spotlight (“Spotlight”) collects, uses, shares and protects personally identifiable information obtained from visitors to the generally accessible web pages located at www.spotlightpos.com (the “Site”) that link to this Privacy Statement. This Privacy Statement does not cover any other information that Spotlight collects, including without limitation, information that Spotlight collects offline or information it collects from registered users and customers about their businesses, employees or patrons via online accounts, applications, or password-restricted websites. In this Privacy Statement, “we”, “us”, “our”, and similar terms refer to Spotlight, and “you”, “your”, and similar terms refer to you, a visitor to the Site. If you visit the Site on behalf of a company, partnership, organization, or other entity, then “you” and similar terms refer to both you and that entity. If you do not agree to the terms and conditions of this Privacy Statement, you may not visit this Site. If you are under the age of 18, you are not permitted to use this Site or to provide any personal information to us. “Subscriber” means anyone who subscribes to one or more Spotlight POS Services. We collect information that you intentionally and actively give to us, such as your email address, name and last name, phone number and country of operating if you request information or registration information when you sign up for our services. We use your information to process and administer details of your Site usage, to communicate with you, to provide helpful features, and to keep you informed about new developments at Spotlight. We also aggregate, use and analyze the statistical data we collect so that we can administer, support, improve and develop our business and the Site. We are not in the business of selling personal information and share your information only in the following situations: with service providers that process information only on our behalf and subject to confidentiality obligations; in the context of mergers, acquisitions, reorganizations, restructurings, and a sale of all or substantially all of the assets of our company or a division – in which case, our new business partners or owners may then provide you with information about their products and or services; variously for any number of reasons when information about you has been rendered anonymous, for example, in an aggregate analytic report, and in response to legal process and/or formal law enforcement, to protect our rights or property, for the prevention or detection of a crime, or as otherwise required by law. We reserve the right to make changes to this Privacy Statement at any time. The most current version of the Statement will govern our use of your information. If we make a modification to this Privacy Statement that is material, we will notify you, either by posting a revised version of this Privacy Statement, or other means, including, without limitation, at our sole discretion, by sending an email to the email address associated with your account, if we have it, or by displaying an announcement above the text of this Privacy Statement. You agree to review this Privacy Statement each time you visit the Site. Your continued use of the Site will indicate your agreement to be bound by the revised Privacy Statement.